Click the image for a larger size! 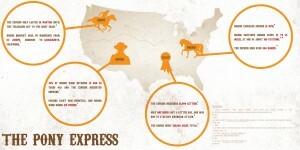 I’ll blog about the process of making this infographic on Friday. It was a challenge… trust me. 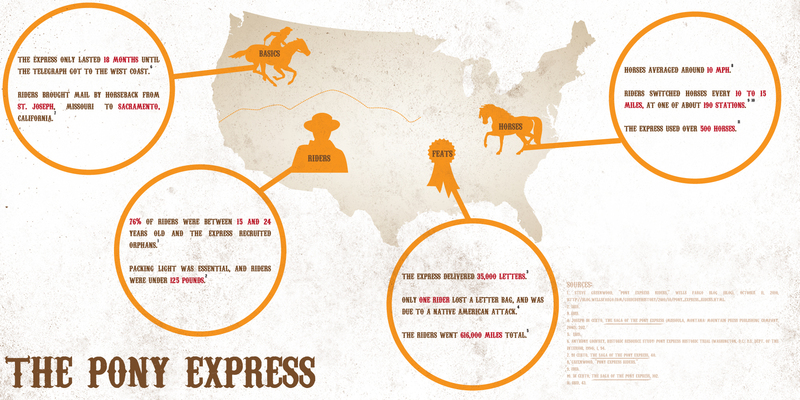 This entry was posted on Wednesday, September 28th, 2011 at 10:33 pm and is filed under charles, infographic, pony express. You can follow any responses to this entry through the RSS 2.0 feed. Both comments and pings are currently closed.